Kelpie gives you the opportunity to make your own calculations. Our calculation program is free to download. Of course you are welcome to contact us and we make the calculation for you. Please use the form below to contact us for a free download. Multichannels testcenter is located in Norsholm. Norsholm is a small village 150 km south of Stockholm close to the highway E4. The test equipment is extremely professional build up. Multichannel could both develop new products and make tests performance of chillers and heath pumps. The temperature sensors measures 0.01 degree Celsius. The ﬂow will be measured down to 0.01 I/s. Different coolant can be used. 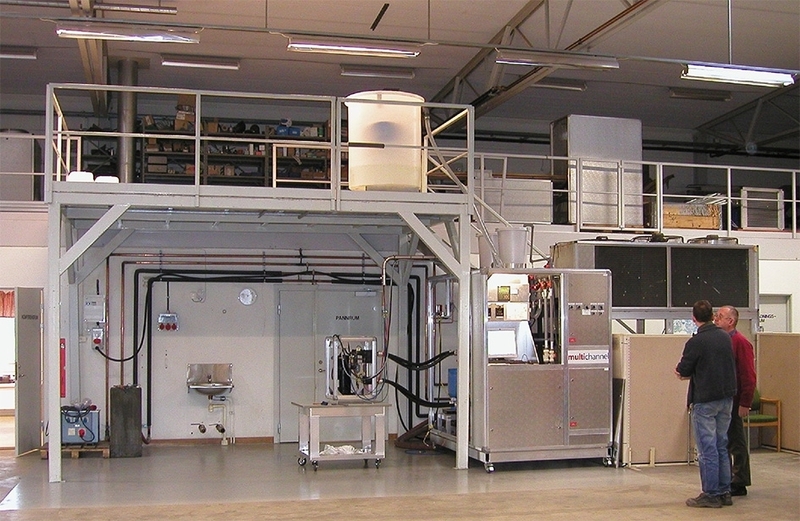 The test rig will be opened to customer of Multichannel, to test the performance of their products to a low cost. All Multichannel Compact Chillers 59-60 are tested here and each unit get its own test certificate.